CONCORD, N.C. – When Kurt Busch looks at his new Chip Ganassi Racing teammate Kyle Larson, he is immediately reminded of a fellow driver. That driver happens to be his brother – 2015 Monster Energy NASCAR Cup Series champion Kyle Busch. “To see the talent that Kyle Larson is, it reminds me a lot of when my little brother was coming up and running Legends Cars against me but I had six years more experience,” Kurt Busch said during a preseason media availability at the team’s shop. 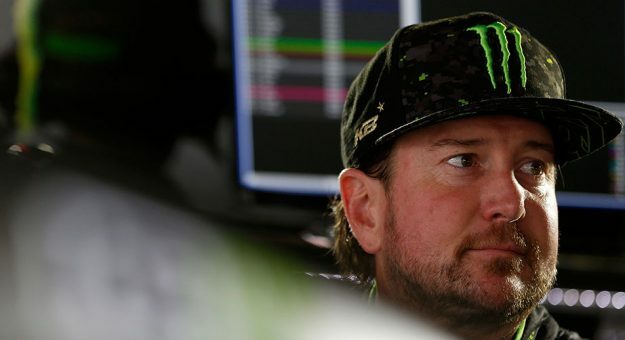 Busch is at Chip Ganassi Racing for the 2019 season on a one-year deal to drive the No. 1 Chevrolet. The veteran of 19 Monster Energy Series seasons, 648 Cup starts and 30 premier-series wins is embracing a bit of new role with his new organization — being a mentor. In fact, the 2004 champion believes that there is plenty he can learn from Larson as well as the season progresses. Busch spent the last five seasons at Stewart-Haas Racing where he reached the playoffs each year and won at least one race each season. He totaled six victories during his stint there, including a win in the 2017 Daytona 500. Chad Johnston, Larson’s crew chief on the No. 42 team, saw Busch in action for two seasons at SHR from 2014-15. Larson is coming off a season where qualified for the playoffs for the third straight year, posted 12 top fives, 19 top 10s and his best career average finish (12.6) but went winless and ranked ninth in the final standings. The 26-year-old is excited about what Busch’s wealth of experience can bring to the two-car organization.